PDS GROUP is a business group composed primarily of Spanish capital, with it's head office in Murcia-Spain. Manufacturers of plastic packaging for fruits and vegetables sector in general and for the industrial sector in particular, for the sections of flow-wrap for automatic packaging, bread bags, laminated flow-wrap, industry bags, etc. State of the art technology and innnovación. This is the characteristic that distinguishes us. Click on the link to view a description of our facilities, but surely, it is already outdated because every day we move forward to serve you better. Our clients are the most important part of our company. 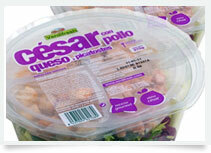 We maintain close communication with them to understand and meet the packaging requirements of each. See a list of our most important clients. 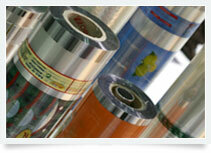 25 YEARS OF EXPERIENCE IN THE PACKAGING INDUSTRY.